After it’s launch last year, the incredible Project 814, otherwise known as Lady S, has finally made its way out of the shed at Feadship. The Kaag facility hosted the long-awaited reveal of the colossal 93m yesterday. Closely managed by Burgess Technical Services and the Burgess Commercial teams, Project 814 has been a project five years in the making. 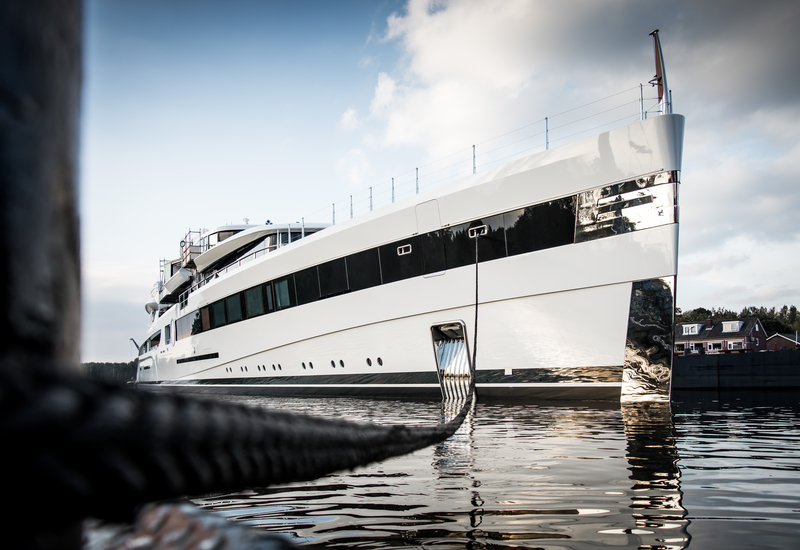 Last October, the efforts of a huge, world-class building team came to fruition with the launch of the majestic Feadship build. The boat has since been undergoing further commissioning work including the addition of balconies and wing stations. After a long winter remaining covered in the yard, she was finally ready for delivery. Working in close collaboration with experienced owners, Michael Leach Design has realised a timeless exterior shape with breathtakingly elegant lines, with naval architecture from De Voogt Naval Architects. Reymond Langton is the mind behind the yacht’s interior, which he has poetically dubbed a ‘beautiful contemporary jewellery box’. 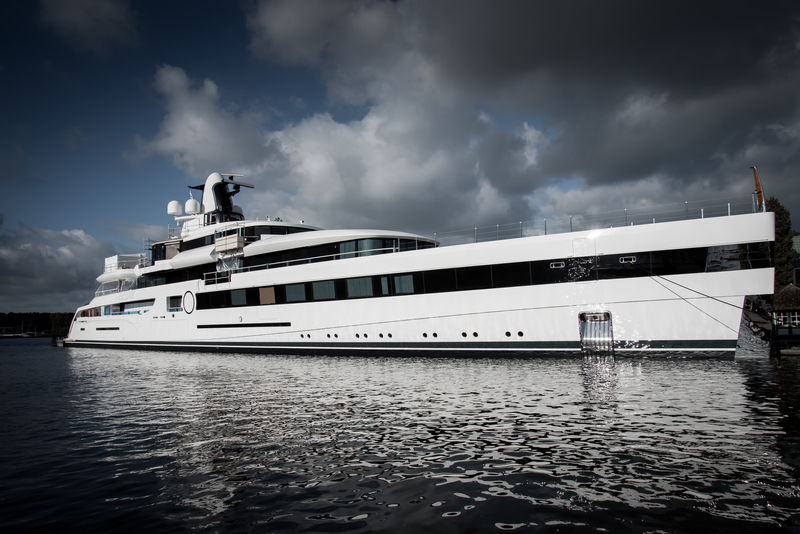 Project 814 is one of Feadship’s largest superyachts ever built, proudly clinching the position of 63rd largest in the world. She joins the ranks of the likes of 110m Anna and 73m Sherpa, bringing the shipyard’s cumulative LOA up to 1086.63m. 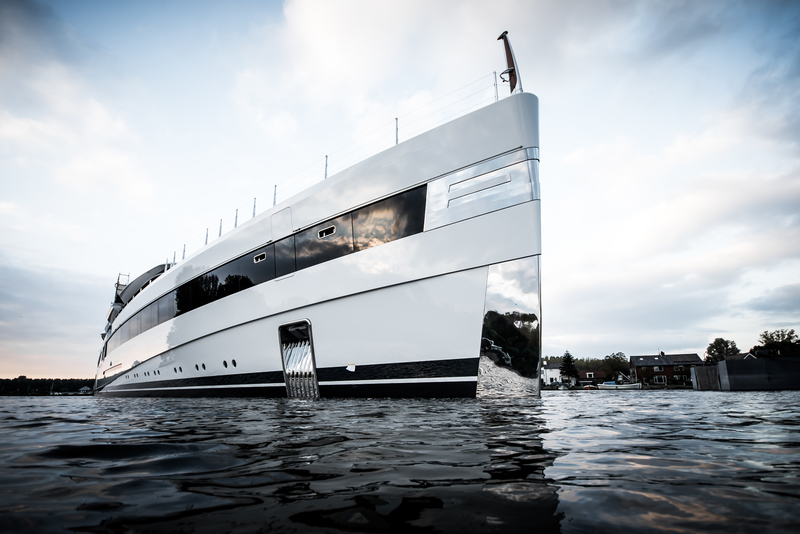 The 93m is also groundbreaking for her luxury features, a few of which have been disclosed by Feadship. She reportedly possesses a two-deck IMAX cinema, a fully certified helipad with Jet A fuel, four VIP suites and facilities for golf, basketball, volleyball and football. Whilst details surrounding Project 814 are still nebulous, if her handsome exterior profile is anything to go by, this is a yacht of quality and luxury and a standard bearer for Feadship’s long standing expertise.